Callaway Left Handed Apex Pro Forged 4 To Pw. Project X 6.0 Shafts. Condition is Used. Seven irons. Grips and shafts great condition. Heads used with ball strike wear on faces but that gives more grab on the ball so not a bad thing. Class clubs and very expensive when new. Left handed. Callaway Steelhead XR irons 5 to PW. Condition is used but looked after with Regular shafts. 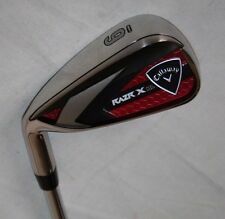 Included is Callaway Razr black uniflex 4 iron and Cleveland loft 56 14 Bounce wedge. Callaway Left handed Driver. Condition is Used. Callaway X 460 Driver . Left handed in great condition. Great looking club ...in lovely condition , see photos . Standard Length ...regular flex shaft. Callaway Xr16 19degree hybrid. Good condition including head cover.left handed. Regular shaft. Left Handed Callaway XR16 3 Wood. Condition is Used and in excellent condition almost like new! See attached photos. 15 degree, regular flex shaft with head cover. Grip condition excellent. Free delivery Any questions please message Happy bidding! Left handed 11 degree FT9 Callaway driver and head cover. Used but in great condition. A combination of the shaft and head hit this ball a long way! Full chord grip with V2 UST stiff 6.0 shaft. Any questions please ask. CALLAWAY X SERIES 3 WOOD 15 DEGREE FITTED WITH FUJIKURA REG SHAFT AND ORIGINAL GRIP AND HEAD COVER. USED - LEFT HAND. The face of the 460cc, silver and black head is thinner around the edges and thicker in the centre. Loft: 10.5°. Flex: Regular. Minor dings and nicks on the crown and/or around the edges of the head;. 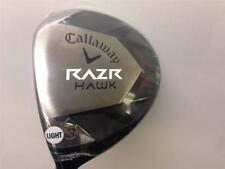 CALLAWAY "X2 HOT" LADIES LEFT HAND (13.5 Degree) DRIVER. 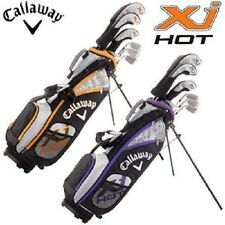 CALLAWAY "X2 HOT" LADIES LEFT HAND DRIVER WITH COVER. 13.5 Degree (adjustable) Face. 48 Grams - Low Kick - High Torque. CALLAWAY XR16 PRO #3 WOOD / 14 DEGREE / STIFF SPEEDER 765 SHAFT. GOOD CONDITION. LEFT HANDED CALLAWAY XR16 PRO #3 WOOD / 14 DEGREE / STIFF SPEEDER 765 SHAFT. GOOD CONDITION. REGULAR FLEX ALDILA TOUR 60 GRAM GRAPHITE SHAFT. 15 DEGREE LOFT. 100 PERCENT GENUINE. CALLAWAY ERC FUSION 10 degree DRIVER. LEFT HANDED. Plus cover. Condition is Used. Collection in person only. callaway left handed Driver 10.5 with adjustable tool and brand new headcover. Condition is Used. Dispatched with eBay delivery – Shutl 1 day. Callaway X-20 irons 4-5-6-7-8-9-PW-SW uniflex steel shafts. 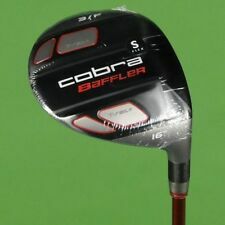 Cobra S9.1 3 & 5 fairway woods regular flex graphite shafts. Callaway left handed graphite irons. 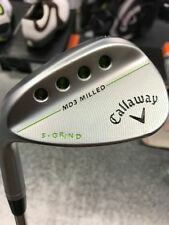 Callaway Mack daddy forged 60 degree wedge with 8 bounce with R grind. Very good condition. Used around 10 times with slight marks as in photos. 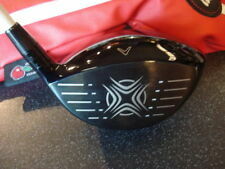 Callaway X Hot Driver 9.5 Stiff - Left Handed. 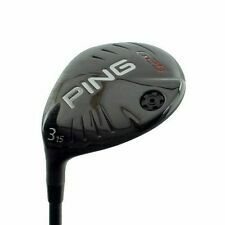 Callaway X Hot Driver 9.5 Stiff - Left Handed.. Condition is Used. But looks excellent. UNIFLEX SHAFTS. 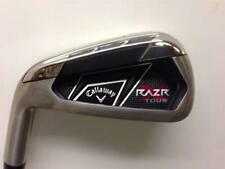 LEFT HAND CALLAWAY BIG BERTHA IRONS. 5-SW ( 7 IRONS ). Shaft : 7/10. Grip : 7/10. CALLAWAY 65g REGULAR FLEX GRAPHITE SHAFT IN GOOD CONDITION, A FEW TINY MARKS. 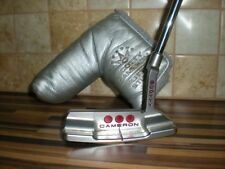 CALLAWAY HEX GRIP IN EXCELLENT USED CONDITION. Set of left handed callaway X Hot 2 Irons. Project x regular shafts. Clubs in good condition. 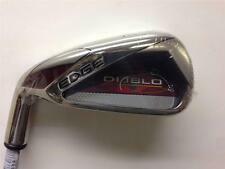 Callaway Golf Big Bertha Diablo 2H DRS 18’ Stiff Flex VGC Left Hand. Condition is Used. Dispatched with Hermes Tracked. KURO KAGE BLACK 80HY STIFF FLEX. SHAFT MITSUBISHI RAYON KURO KAGE BLACK 80HY STIFF FLEX. 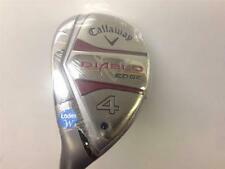 LEFT HANDED CALLAWAY ROGUE #4 21 DEGREE HYBRID. 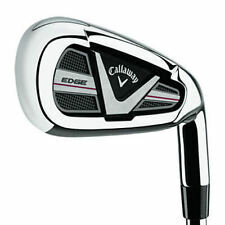 Callaway Rogue Golf Hybrid. The Internal Standing Wave positions the CG lower and forward to promote easy launch. Callaway X Hot N14 Irons, Left Handed 5-AW (5, 6, 7, 8, 9, P & AW). 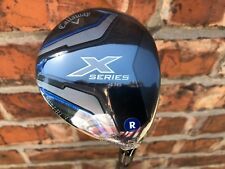 Callaway Rogue Sub Zero Driver Left Handed 9 Degree Project X Hzrdus Stiff VGC! Left Handed. stiff flex. Head cover included. Fantastic club! See pics for more details.